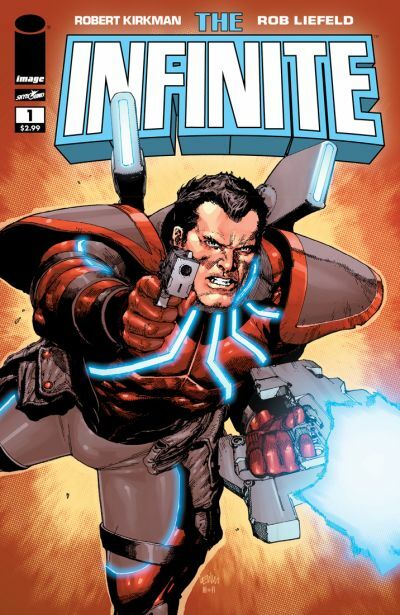 Berkeley, CA â€“ 6 July 2011 â€“ Image Comics and Skybound Entertainment are proud to announce a new variant cover for the debut issue of Robert Kirkman (THE WALKING DEAD) and Rob Liefeld’s (YOUNGBLOOD) new collaboration, THE INFINITE! Artist Leinil Francis Yu (Secret Invasion, Wolverine) provides dynamic and colorful new cover art for this exciting science fiction story from two of the industry’s most popular creators. Several other special covers will be available for THE INFINITE #1, featuring artwork provided by no less than Image partner and SPAWN creator Todd McFarlane, another variant by Liefeld, and a blank variant perfect for sketches and signatures! THE INFINITE #1 (JUN110473), a 32-page full-color sci-fi comic for $2.99, will be in stores August 3, 2011. THE INFINITE #1 LEINIL YU VAR (MAY118299) and the other variant covers are available for order now.